Posted in Radar, Research News on November 17, 2010 by Susan Cobb. 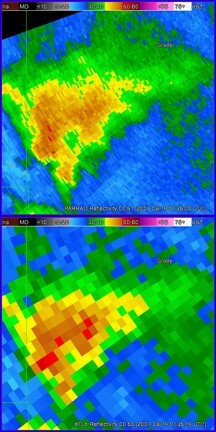 Subtle features in thunderstorms captured by rapid scanning phased array radar could alert forecasters to the potential of severe weather. NSSL researchers used the National Weather Radar Testbed (NWRT) Phased Array Radar(PAR) to sample a tornadic supercell at a close 20km range for the first time. The storm occurred on May 13, 2009 in central Oklahoma and produced an EF-0 tornado, heavy rain, and hailstones up to 2.5cm in diameter. The storm also provided a unique research opportunity as it moved in-between the research radar and the National Weather Service WSR-88D operational radar. Because data were collected from two radars on the same storm, special analysis techniques were applied to estimate wind fields not usually obtainable by a single radar. 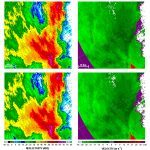 This “dual-Doppler” analysis technique revealed subtle interactions inside the storm before the tornado formed. Recent analysis of this storm revealed the 43 second update time of the PAR provided a much better depiction of the evolution of the tornado’s parent circulation than the 4.2 minute update time of the WSR-88D. The study also suggests that the tornado’s parent circulation resulted from the merging of two circulations, observed by several scans of PAR and the one scan of the WSR-88D. Phased array radar technology uses an array of transmit and receive elements on a flat panel, and can collect the same weather information as a WSR-88D radar but in about one-sixth the time. 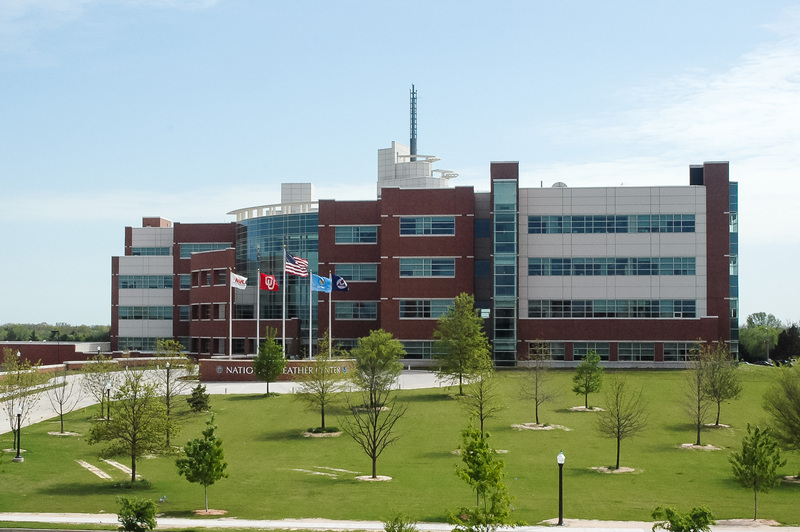 NSSL researchers continue to demonstrate PAR technology provides improved detection of severe weather hazards.